The phpDay conference will be in Hotel San Marco in Verona, May 10th-11th 2019. 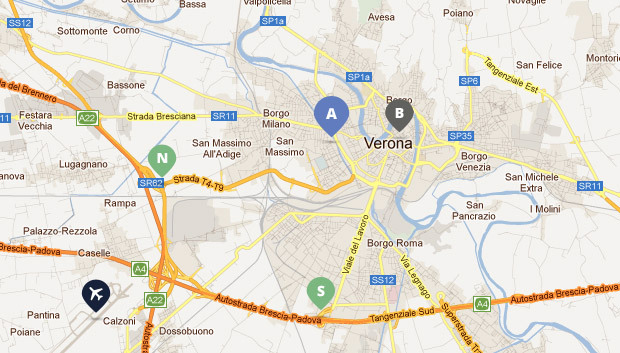 Bed and breakfast "Dai Nonni"
The Bed & Breakfast Dai Nonni is rightly located in the heart of the historical center of Verona, near the central pedestrian shopping street and only 200 meters far from the Arena. The area is also well served by public transports and you can easily reach the conferences' site at the Hotel San Marco. About the agreement: phpDay convention (70€ per night for a double bedroom, with private bathroom, including breakfast).